If temptation has lately taken the form of bar fries and office cupcakes, surround yourself with better visual cues that will trigger you to move more than just your mouth. Take these eight inspiring items, for example -- they'll have you saying yasss to getting your rear in gear. Keep these mini-motivators around as reminders to hit the gym, run your local track, hop on your bike, sign up for that CrossFit or yoga class, or reach whatever training goal you have in mind. There are a million and five motivational tops out there, but this one has an empowering message to push yourself in whatever you do. Just when you think you can't do one more rep or hold onto that race pace a second longer, look down at this cotton-polyester top's wise words and keep going. 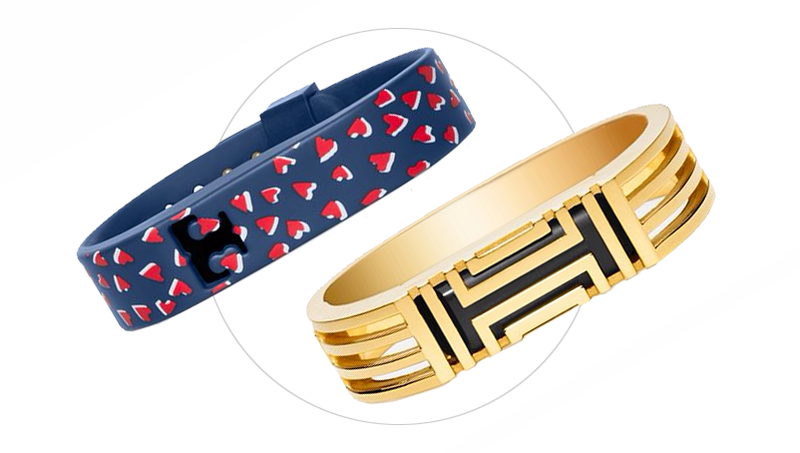 If you've ever taken off your activity tracker because it clashes with your outfit (we get it), check this out: Count your steps in style with Tory Burch's Fitbit accessories, including the brass-based Metal Fret Pendant and Metal Hinged Bracelet or Silicone Printed Bracelets. Each accessory houses a miniscule Fitbit Flex, which monitors distance traveled, calories burned, sleep and more, sending up-to-the-minute stats to your computer, tablet or smartphone. Some jewelry can motivate sans a fitness tracker, like this pretty piece that could double as a medal for the nearly 1.2 million U.S. women who finished a half marathon in 2013. 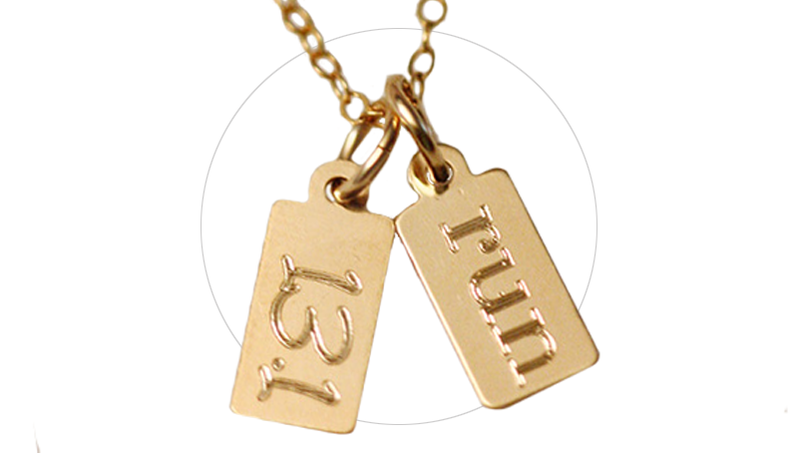 Whether you've bagged one or many halfs or are currently training for your first, this beautiful necklace features two small rectangular reminders of your future goals and/or past accomplishments: "13.1" and "run." Dare to wear the sterling silver or gold fill tags before you cross the finish line to serve as a memo to lace up, lady. Rosie the Riveter has been empowering women since World War II -- and she's still got it. 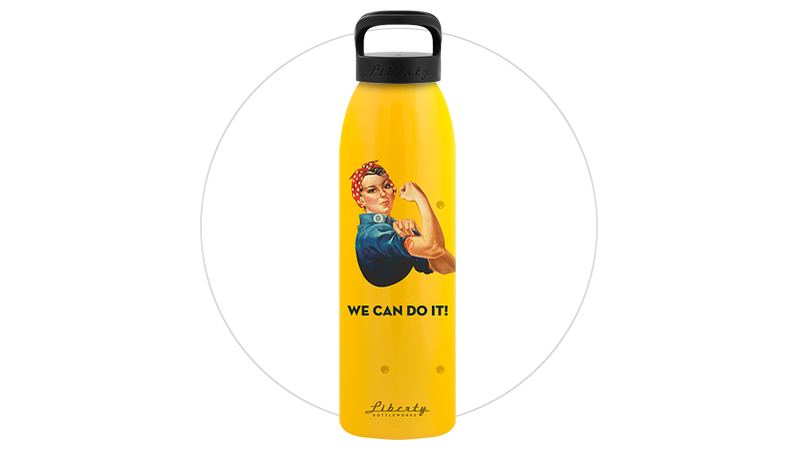 Her don't-mess-with-me-mug and tough-enough bicep curl on this sweet BPA-free bottle made of recycled aluminum coils is the perfect hydration tool to take with you from the office to the gym. This tote from singer Carrie Underwood's fitness and lifestyle apparel collection will make you want to pack your gym gear the night before. 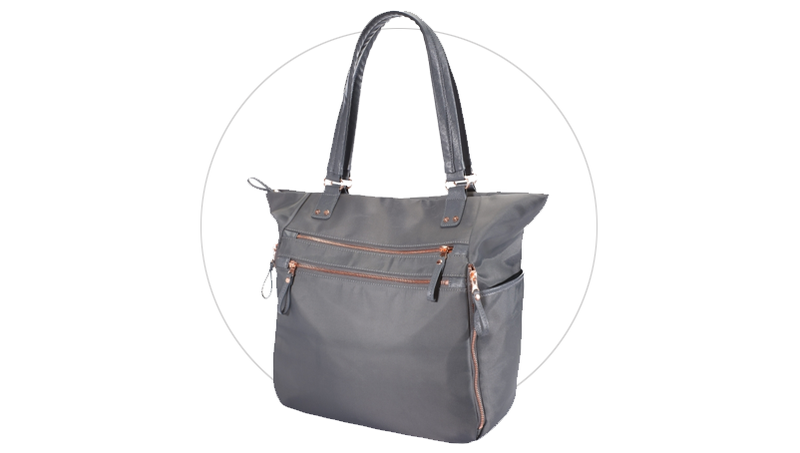 There's a removable bag for shoes or clothes that fits right in the spacious main compartment, which also features five interior pockets to safeguard small items and stash your sports bra (so you don't accidentally pull it out mid-meeting). The nylon bag also offers six external pockets, including water-bottle holders and a large center pocket with two zipper exits that allow you to slide in and carry a yoga mat. 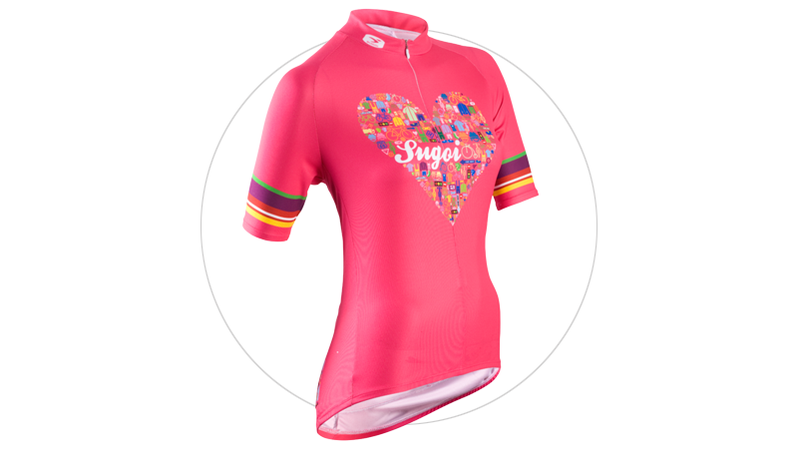 Ride your heart out -- or at least get it beating faster -- in this sweet bike-lover jersey from Sugoi. The breathable polyester performance jersey comes with built-in 20 UPF sun protection and three expandable elastic back pockets. After a long day of wearing an uncomfortable wire bra that may poke you, it's really nice to slip into something soft and cozy like this number that promises to defy gravity. Put this compression-style bra to the test in a yoga, spin or CrossFit class. You're bound to love the smooth, sweat-wicking fabric with chafe-resistant flat seams and extra supportive crossback straps. If not, lululemon covers return costs. 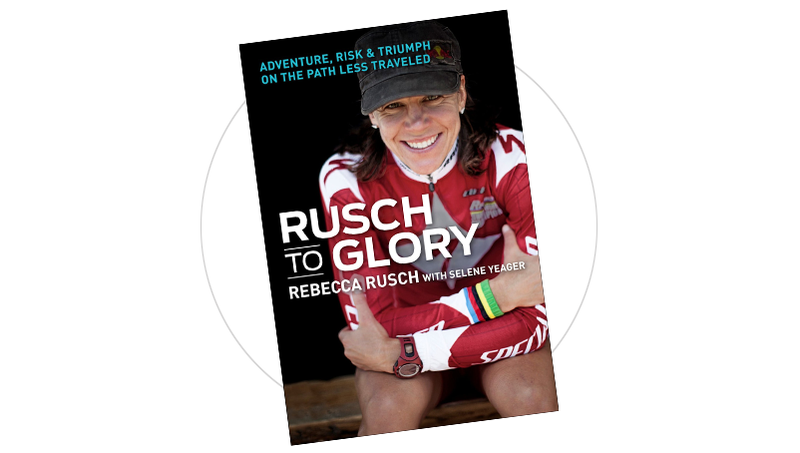 Take some winning cues from Rebecca Rusch: The 46-year-old holds more national and world titles than humanly imaginable in mountain biking, adventure racing, whitewater rafting and cross-country skiing (to name a few), making her one of the greatest endurance athletes of our time. Add her inspiring autobiography, co-written with Bicycling Magazine's Selene "Fit Chick" Yeager to your nightstand or Kindle and pick up a few tips and tricks to lock in success just like the "Queen of Pain." Cristina Goyanes is a NYC-based freelance editor and writer who covers topics from sports and fitness to health and lifestyle for various national men's and women's magazines and websites.